This is the concluding segment (3 of 3) to this article on Universalism, the Judgment of God and the Eternal destinies of all souls. Previously we looked into some of the history behind Universalism, then we checked out the doctrine of Eternity and of heaven and hell. We now look at the further ramifications of Universalism and of the distinctions between those who are born of God, and those who are not. Also the relevance of the spiritual rebirth is examined. Any and all who would see and enter into the kingdom of God must do so in accordance with the procedure that the King Himself laid down; it’s HIS Kingdom (‘kingdom’ is a contraction of “the King’s Domain”), HE makes the rules and these can’t be explained, rationalized, analyzed or ‘dialogued’ away! The spiritual rebirth was here stated as the only means of “seeing” and “entering into” the Kingdom of God; there are no other means or operations whereby that kingdom is arrived by; since these are the very words of the King Himself, we can rest assured that they are both valid and exclusive (that is to say, those who are not born again, will not “see” and “enter into” the Kingdom of God). The LORD Jesus rebukes Nicodemus for not knowing these things, and one might wonder at this, since the spiritual rebirth was a thing taught and experienced only in the New Testament . . . or was it (experienced, no; taught? Yes!)? This would have been the lot of Israel had she accepted her King, Y’shua ha Meshiach, Jesus Christ, but since as a nation, she rejected (at that time) her King, God set forth into motion the other body of believers He had planned since eternity past, but kept these things secret (a mystery) until the establishment of the New Testament, and this mystery was revealed to Paul the Apostle, that being, the church (see Eph. Ch. 3). I believe that the nation of Israel will enter into this ‘spiritual dynamic’ upon Christ’s Second Advent when as a nation, they will receive Him as their Messiah (Zech. 12:10 as well as the above mentioned passages). 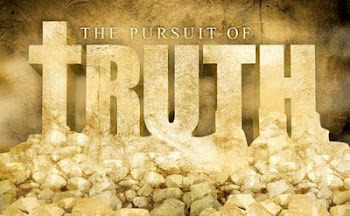 Other verses that declare this truth are: John 5:34; Acts 11:14, 15:11, 16:31; Romans 5:9-10, 10:1, 11:26; 1 Thess. 2:16; 2 Thess. 2:10; 1 Tim. 2:4; 1 Peter 4:18. From the beginning it was God’s plan and desire in creating man, to have fellowship with a sentient being with whom He could express His love and grace and from whom He could receive love; it was for His good pleasure that He created us (Rev. 4:11). Even though the cataclysmic fall of mankind into sin broke this sacred fellowship with our Maker, this certainly didn’t take Him by surprise but was anticipated and provided for in a way that no human mind could have imagined – by the Creator Himself taking on humanity and dying for our sins! Only an Eternal God could take on the sins of the world (but only as a representative of mankind, thus the need to be “born of the woman” Gal. 4:4) which were against that same Eternal God, and suffer on our behalf the eternal punishment that we justly deserve (for our sins are not against ‘a god’ but the Eternal God)! This sacred truth of the atonement was embodied in the scriptures, through out the various prophecies as well as the symbolical significance of the Temple and its sacrifices. 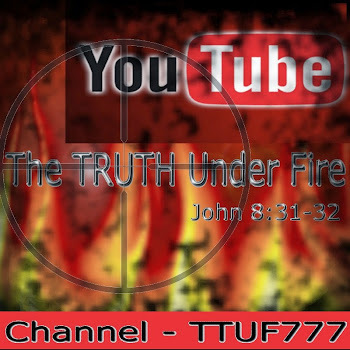 All of the Old Testament scriptures speak of Christ Jesus (John 5:39), and of the plan of redemption and with the sole purpose of eradicating sin, that deadly, corrupting influence that separates the Creator God from His creatures (Isaiah 59:2) and for which it took nothing less than God Himself to destroy. Even among the myriad of sacrifices and offerings, drenching the altars with more blood than you’d see in a slaughter house, even then, and with precise ceremonies, rituals, specialized clothing and procedures of bathing along with incense and oils the high priest, and only him, only once a year in the Holy of holies, entered in to minister before the LORD and it was then that the LORD’s Spirit dwelled there, over the mercy seat. The very Spirit of God dwelled there in that temple! This in itself was a symbol of that which would follow, under the New Covenant . . . Some disparage the idea of Christ Jesus indwelling the repentant sinner as a response to prayer, but the indwelling Christ, the LORD Jesus, as well as the indwelling Father, and the indwelling Holy Spirit is clearly taught in scripture. The word “received” in the Greek is lambano, which is a primary verb and means, to take, to get hold of, to accept; this word is suggestive of “a self-prompted taking”. In this verse, the one being received is the Lord Jesus Christ, and as a result of this are granted the power (right, privilege, ability) to become ‘the sons of God’ who are born of the will of God (a most relevant term, which denotes a direct creation of God; angels have been called “sons of God” as each of them was created directly by God; Adam, and not his sons, was called a son of God as he likewise was directly created by God: Abel, Cain, Seth and his other sons were never referred to by this term. We as Christians are likewise called sons or children of God because our hearts are created anew (not reformed or mutated) directly at God’s intervention (see Romans 8:14, 19; Phil. 2:15; 1 John 3:1-2; also Matt. 5:9; Luke 20: 36; John 11:52; Romans 8:16, 21; 9: 8; Gal. 3: 26; 1 John 3:10; 5:2). John 14: 20; 17: 23; Gal. 2:20; Eph. 3:17-19 (note, that we “might be filled with all the fullness of God” in vs. 19); and 1 John 3:24; also Rev. 3:20 which the LORD states as an admonition not to the church of Laodicea, but to individuals within that apostate church. Take note here that this verse explains that we not only have the Spirit of God, but that any who do not have the Spirit of Christ, those are people that don’t belong to Him. Those who are not born of God’s Spirit, do not possess God’s Spirit, and they do not belong to Christ Jesus! Other verses that express the indwelling Spirit are as follows: Ezek. 36:27; John 14: 17; Romans 8:11; 1 Cor. 2:12, 3:16; 2 Cor. 5:5; Gal. 4:6; Eph. 2:22; 3:16; 5:8. It is important that we further clarify the confusion of Hebrews 10:10. There are those who believe that the sacrifice on the cross in which Jesus Christ suffered once and for all was for everyone, the saved and the unregenerate alike and therefore does away with the consequences of sin, death and eternal punishment. It is true that Christ’s sacrifice on the cross was indeed for everyone, the saved and the unregenerate, but one can only enjoy the benefit of redemption upon repentance and personal belief. This scripture speaks of a specific work which was divinely committed to Christ alone to accomplish, which was completed upon His death on the cross and resurrection from the dead. It is the work which constitutes the content behind Christ's words: "It is finished" (John 19:30). Specifically, the work of REDEMPTION (ransom in full, i.e. (figuratively) riddance, or (especially) Christian salvation:--deliverance), RECONCILIATION (exchange (figuratively, adjustment), i.e. restoration to (the divine) favor:--atonement, reconciliation (-ing) and PROPITIATION (to conciliate, i.e. (transitively) to atone for (sin), or (intransitively) be propitious:--be merciful, make reconciliation for). There are other doctrines relating to the value of Christ's death for believers, such as, forgiveness (of sins), regeneration, justification and sanctification, which also are divinely applied to the sinner at the time of PERSONAL BELIEF, but the above mentioned is unique because each extend benefits to both the saved and unsaved in that this finished work on the cross, was done with the whole "world" in mind (John. 1:29; ref. 1 John 2:2; 4:14). However, it must be clearly understood that Christ's death is SUBSTITUTIONARY and the work He accomplished through His death is, in itself, PERFECT and COMPLETE. That said, the sinner freely benefits by and accesses this finished work, in full, at the time of personal belief (Rom. 5:2) and cannot add to it nor subtract from it in any way. It was Christ's work to accomplish and accomplish it He did, completely and perfectly. Therefore, the sinner, AT THE TIME OF PERSONAL BELIEF, is completely and perfectly REDEEMED from sin; completely and perfectly RECONCILED to God; and God through Jesus Christ, is completely and perfectly PROPITIATED by His shed blood. On this basis, the life bestowed upon a repentant sinner, at the time of personal belief, is vitally eternal, as is the punishment bestowed upon the unrepentant sinner. Example: John 3:16 states, For God so loved the world, that he gave his only begotten Son, that whosoever believeth in him should not perish, but have everlasting life. As we can see from this Scripture that everlasting life is reserved for those who believe. The terrible cost of Calvary does not make provision for a sinner who refuses God’s plan of redemption, who continues in his folly, and whose father is the devil, for they will receive the full wrath and punishment that is to come at the judgment. Jesus did not die in vain! Since the only remission of sin is the shed blood of Jesus, and by no other means, those who do not have the bloodstain upon the door of their hearts, will perish in everlasting hell. There is indeed one condition to salvation, and that is this: that it must be received. It is therefore the express responsibility of the sinner to accept God’s offer of atonement. To do that one must repent, believe and receive it. Man cannot reject the gift of salvation and reap the benefit of the saved. Romans 6:1-14 teaches us that we are one with Christ because we have shared in His death, burial, and resurrection, and that we are to walk in newness of life. Also in Romans 6:15-23 we learn we are no longer servants of sin, that we now have a new master. Salvation doesn't free you to sin: but rather frees us from sin. Salvation takes unholy men and makes them holy, unrighteous men and makes them righteous, we are no longer the children of wrath, but are the children of God. It is a call from sin to holiness. God is not looking for people who want to add Jesus to their sinful life-styles. Salvation is not an addition; it is a transformation. Jesus calls men to die to self and rise again to walk in newness of life. He is calling men who say “no” to their present master and yes to a new Master. God's grace covers any sin, but it never condones it. Being a Christian means that we are now free from sin and guilt and will inherit eternal life in place of eternal punishment. What must be borne in mind is that GOD IS NOT WILLING THAT ANY SHOULD PERISH BUT THAT ALL SHOULD COME TO REPENTANCE (2 Pet. 3:9) and therefore, never sends sinners to hell. Why would a loving God, of Whom it is said that His love is unconditional, condemn any one to a place of burning torment forever, with no chance of reprieve? Where is the love in that sort of action? What Universalists and others who believe either in universal salvation from our common Heavenly Father and 'the brotherhood of Man', or in annihilation fail to acknowledge is that God is not only a God of love, He is also a God of Holiness. As human beings, with a fallen sinful nature (and without a regenerated, resurrected spirit), we have no idea or conception of what this means beyond a theoretical basis. We under appreciate then why God can’t forgive sin by merely conceding to do so, because we fail to comprehend the awesomeness of His holiness. The holiness of God in conjunction with the character of God’s sense of justice would compel Him to judge sin; if He merely ignored sin, or overlooked sin, or simply dismissed sin out of hand, He would be in violation of His nature, and this is something God cannot do! God cannot lie, He cannot be unjust, He cannot change. He cannot tolerate sin. This then is the ‘dilemma’ that God faced: He must judge sin, and yet to do so would mean to condemn the very creatures that He loves so passionately. How could a Holy, Eternal God deal with sin and yet bring His creatures into a loving relationship with Himself? Bear in mind that since God is eternal, any sin committed against Him by mortal creatures would face eternal consequences, since the issue is the One who is being sinned against, not on the deed of the perpetrator! Suppose one was to commit the exact same crime in different nations; each nation will have their own sense of justice and various standards for punishment. Though it’s the same crime, committed by the same person, that person will not know the same level of punishment from each nation because the crime must answer to the courts of law as represented by each nation’s standards. Yet God, in His Kingdom has the highest Standard by which He will judge and mete out punishment by, His Holy Law! Mortal, finite creatures will know the incontrovertible judgment and punishment of an Eternal God and His eternal Law. 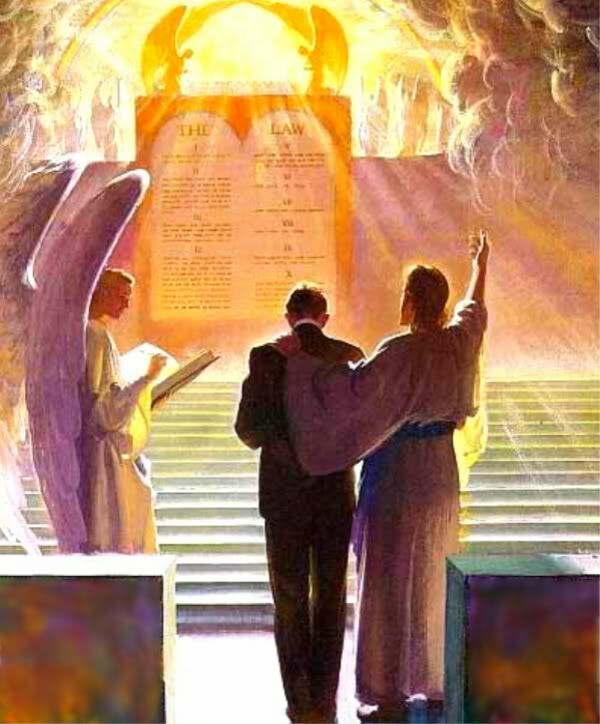 We have already seen the scripture that stated that all judgment will be given to the Son by the Father to mete out; thus Jesus Christ is the Judge who will review each individual life and bring sentence upon them, based on the Holy Law of God (which has proven mankind to be sinful and incapable of obeying it). The kinsmen goel is a term employed in both the book of Numbers and Ruth; the concept is utilized elsewhere in scripture as well (sometimes referred to as the “avenger of blood”). This is a person who is related to another that’s incurred a debt and as a result, lost their land, home, etc. The kinsman can if they are able and willing, redeem their relative by paying the debt and restoring anything lost (such as lands, houses, etc). The kinsman is also a type of The Redeemer, the LORD Jesus Christ (Isaiah 41:14; 43:14; 44:6, 24; 47:4; 48:17; 49:7, 26; 54:5, 8; 59:20; 60:16; 63:16) who likewise possessed the ability and willingness to redeem the human race (Eph. 1:7, 14) which was indebted to God by our flagrant sin, in violation of the Law as well as depriving God of the pleasure for which He created us. The glory of God would have been to experience uninterrupted, pure, loving fellowship with us, His creatures; yet “all have sinned and fallen short of the glory of God” (Rom. 3:23). Humanity has gone its own way, and neglects, ignores, even blasphemes God in practically every breath we breathe! Read the entire passage from Hebrews Ch. 9. Jesus Christ suffered for our sins, and abolished forever the penalty for them, the power of them, and the presence of them on our behalf, when the redemption is finally completed upon His Second Coming. In this Person is encapsulated all the grace, all the goodness, all the tender mercies, the compassion, the kindness and love of God. All of humanity can know of these things from God, through the Person of Christ Jesus, and any who come to Him, He will in no wise cast out (John 6:37). This is why, if one rejects the LORD Jesus Christ, the exclusive source of God’s redemption (Acts 4:12), there is nothing He has to spare to offer any soul who would seek such outside of the Person of Jesus Christ. Therefore, that which Christ Jesus took upon Himself and the sacrifice He made is invalid for those who reject Him, and they then have no other choice but to suffer that eternal torment themselves (John 3:18-21, 36). The Judge is coming to this world one day, and any who are caught outside of the grace of God, made available through Jesus Christ our LORD, will have to face the Judge and His Law, and in that Court, there will be no hope for the guilty: none, whatsoever.